It’s that time of year again. Back-to-school time. 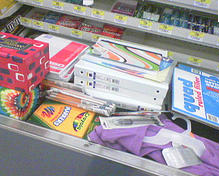 As a child, one of my favorite summer activities, bar-none, was school supply shopping for the year ahead. Each summer the school would distribute a list of the requisite supplies for each grade – no two lists were the same – and my little heart would be set aflutter when I read the list and gleaned clues as to what was in store for me that year. 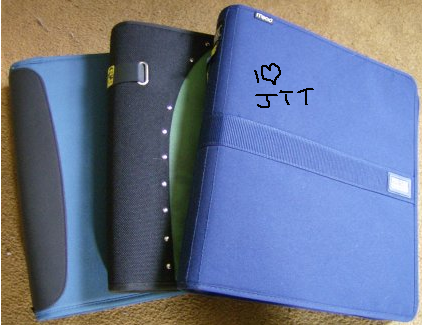 Double-pocket folders (that meant creative writing was in store), 10 duotangs (ugh, duotangs, worst school supply ever, frequently used for organization of math work sheets), a few campfire notebooks (hello spelling tests), pencils (PLEAAAAAAASE can I have the automatic-click kind?) and of course a box of crayons, colored pencils or markers (I always begged for markers, I always got pencils – at least I wasn’t stuck in crayonville… unless of course you’re talking about the 64-pack with the sharpener built in to the box, then that’s a whole different ballgame). Other kids were going shopping for new back-to-school clothes, but for a large part of my education I went to a school where uniforms were worn, so fashion wasn’t high on my radar at the time. (Those who know me now may argue that it still isn’t). I was ALL about the school supplies. As the years passed and I got to highschool the supply list became more do-it-yourself, mainly lots of binders and looseleaf, but I always managed to spice things up a bit. Erasable pens? So cool, yet so ineffective. White-out? So good for writing the names of your latest crush on things. Locker organizers? The epitome of junior-high chic. And the rolls-royce of school supplies… the 5-star binder. Remember that thing? It weighed a friggin’ ton and had more pockets and secret compartments than a teenager could ever find use for. I’m pretty sure mine had a mirror in it too. You could carry your whole life in your 5-star binder. Those were the days. Now as September rolls around, and school supplies populate shelves everywhere, I can’t help but feel nostalgic (and a bit sad) about those back-to-school shopping marathons. The feeling of fresh scribblers, the smell of new erasers, the unbridled joy of getting a new backpack or lunchbox… that kind of bliss is hard to come by in our daily nine-to-fives. Now with the internet constantly at our fingertips, I wonder if kids these days even get a thrill out of the old tools of the trade. (Did I just say ‘kids these days’?! Wow I’m old.) I for one still love a good trip to Staples, but the rush just doesn’t compare to what it used to be. What’s a girl to do? Maybe I’ll go buy myself a new pencil case to ease the pain. School supplies were like crack to me. Some may say I wasn't the coolest of kids. ← A New Lily? A look at TV babies of the past. hi – you’re feelings about school supplies may change once you are spending $250 to get two kids back to school (supplies only, no clothes, shoes, bus passes, “school fees” etc. etc.). Now September spending rivals Christmas. Although I’m with you, I still love a trip to Staples. You raise a great point. My love of school supplies was borne when I wasn’t the one footing the bill! If I have kids (and school-supply lists of the future don’t just consist of ipads), I imagine I’ll be spending a lot of time bargain-hunting. This was my favourite time of the year too! To help you through it… here in Listy (and probably many places) we can purchase school supplies for kids who need a hand at the beginning of the year. They get dropped off at a store or organization to be handed out before school starts. You can help a kid- and get your marker fix!